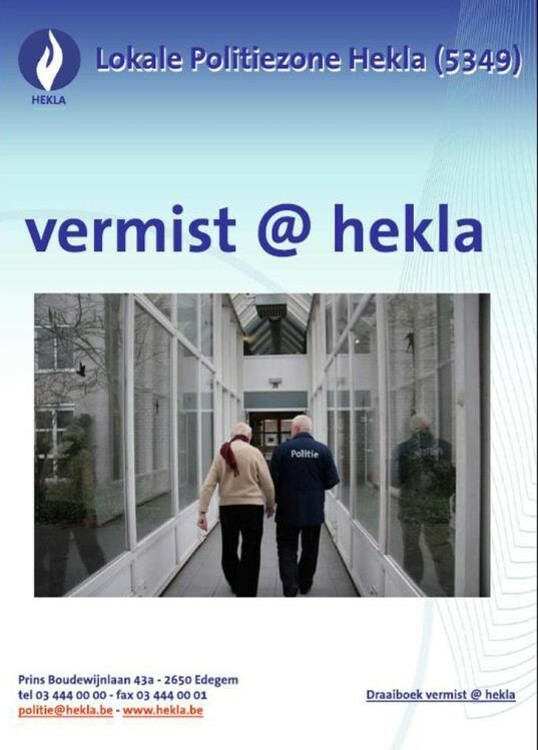 Who is involved: Police in the Hekla district (Hove, Edegem, Kontich, Lint and Aartselaar – all in the area around Antwerp) have been supported by the King Baudouin Foundation and the European Foundations’ Initiative on Dementia (EFID) to improve the systems used to find missing persons who have dementia. The Jury of the EFID Awards highly valued the fact that the project methodology and tools could easily be adopted in other geographical areas and by other local police forces. Nature of activity: The federal police in Belgium has a Missing Persons Unit that has set up a protocol with Foton (a Bruges charity aimed at promoting specialised dementia care, support and awareness across Bruges), institutions, police forces, and the Public Prosecutor’s department, in order to improve responses from each when someone with dementia goes missing. These protocols are intended to facilitate safe, autonomous movement around the community for people who have dementia, as well as promoting a more cohesive, dementia-aware community. An example of a protocol is in the Hekla police zone where police collaborated with the care sector to find wandering people. The protocol provides care givers with an information sheet and a guided response on what to do should a person with dementia goes missing. The information sheet contains a personal description, contact details of family and friends, former addresses, places of interest etc. This idea, which has been picked up and adopted by eight other areas, has reduced pick up time for lost people with dementia to two hours. Click here to download a presentation given by Chief Inspector Patrick Crabbe (since retired), about how the protocols were developed. The presentation includes 15 tips to help family members in their search for answers and overcoming feelings of shame. They provide tips to prevent people from going missing, including: seeking advice from a healthcare professional; finding out if there are local protocols with the police; taking a note of important ‘anchor points’ in the life of the person with dementia (these are places they often talk about or frequently visit, such as the place where they grew up or used to work, cemetery, etc. ); making sure that the persons themselves have a way of making contact in an emergency and carry information about who they are; advice if the person goes missing.